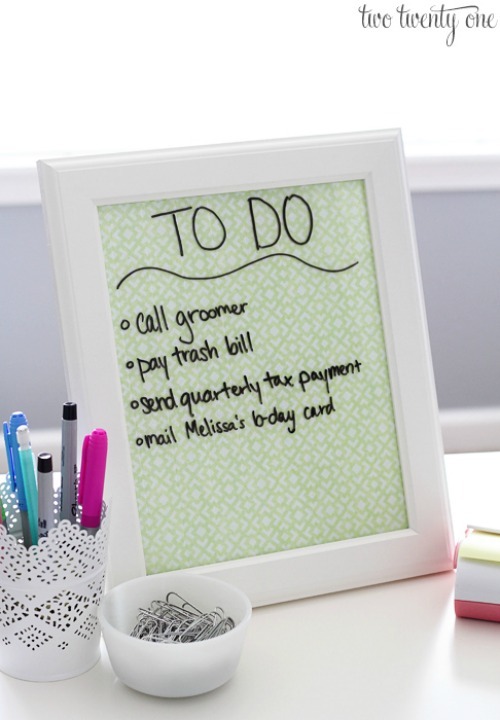 Organize your office space with these DIY office crafts and hacks. 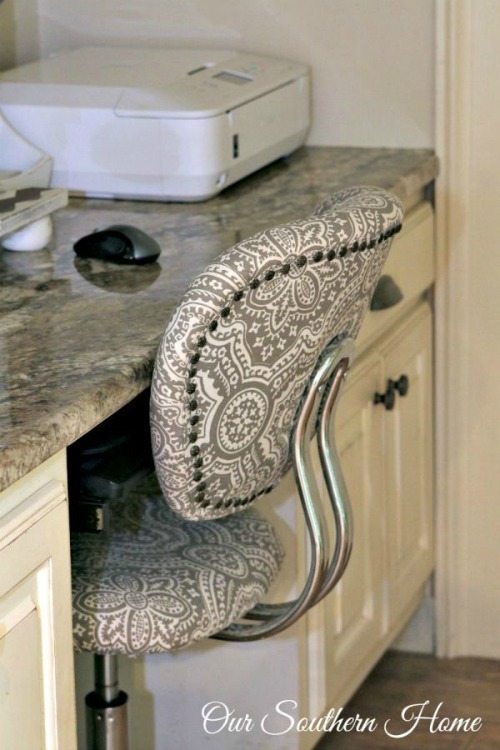 These ideas will leave your space functional, organized and a place you’ll love to be! Can you believe it is already back to school time? I feel like my kids are only a couple weeks into summer and stores and tv commercials are pushing back to school. Well, I’m not ready! I want to enjoy the summer and not be rushed too quickly into the next season. BUT have you seen some of the deals? While I’m not ready to begin school shopping, right now is the perfect time to stock up on office supplies and be ready for the next year. 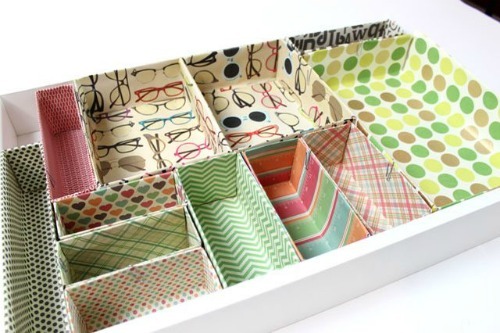 Along with stocking up, this is a great time to look around your home office and add a little organization and style. 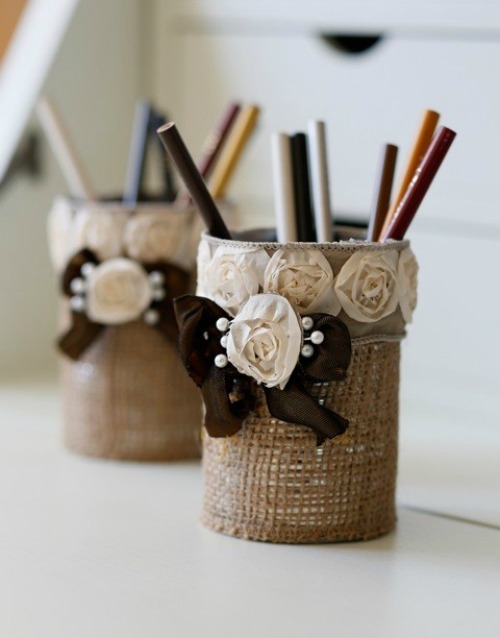 To help inspire I have created this post with 20 Office Crafts and Hacks that I invite you to browse. Don’t worry, if you find any ideas that you love, click on the title link or the image. This page won’t close so feel free to click around. 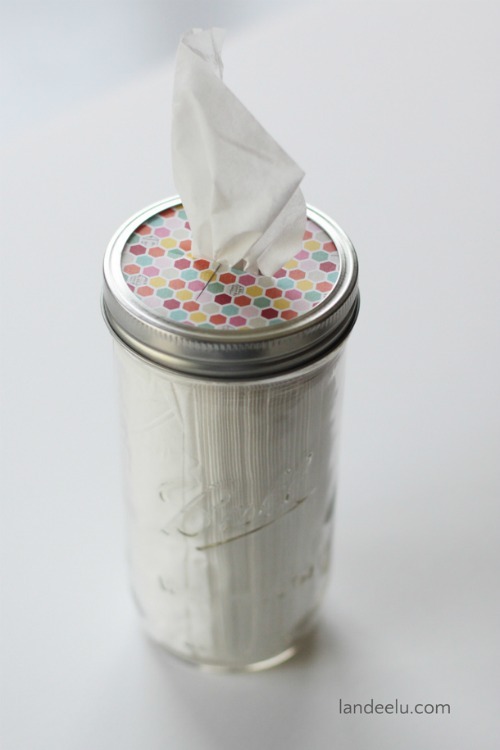 I hope you find these office crafts and hacks helpful. 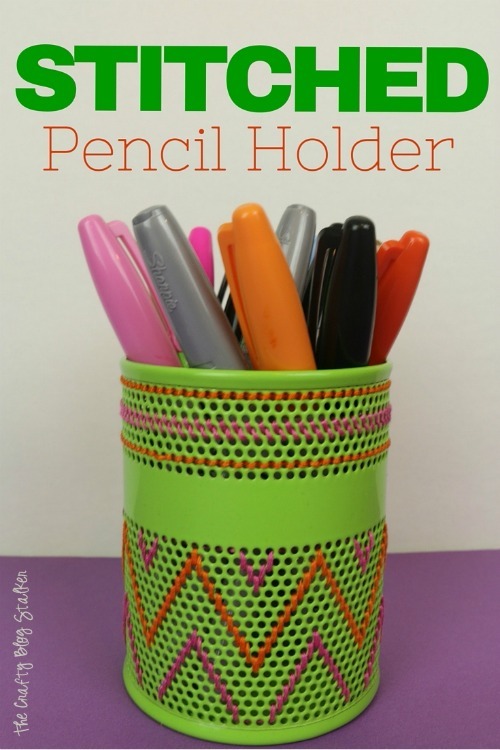 Do you have a favorite office craft or hack that you would like to share? Leave a comment below! 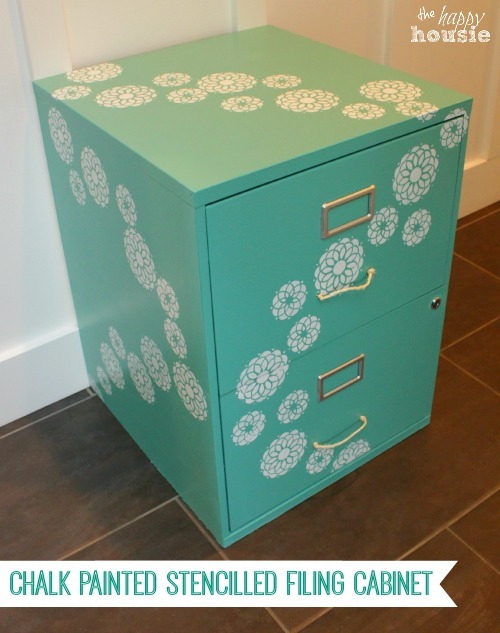 We have done the file cabinet hack by using an old interior door (hardware removed, of course). That is awesome LuAnn! I thought it was pretty smart too. 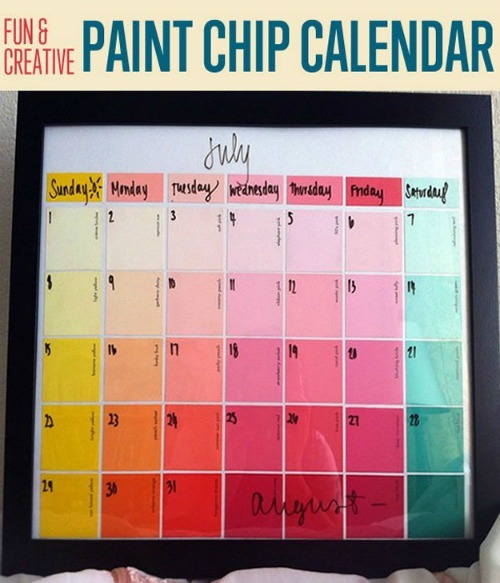 These are awesome ideas! Thanks for sharing them!! Thanks Angela. I am so glad that you like these ideas! I love the school supply lazy susan. 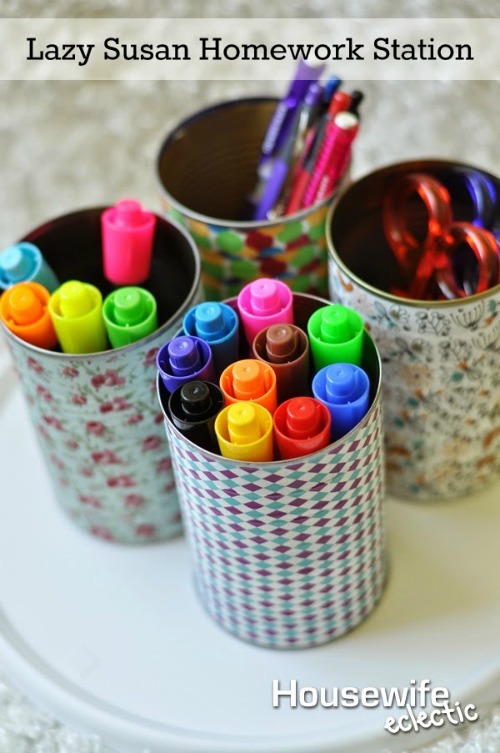 Everything is right there – no running around to find a pen! Thanks for sharing with #overthemoon. Isn’t that handy? Thanks for stopping by Cathy! I am so glad that you like this collection, Kendall. Thanks for stopping by! So many of these are amazing! 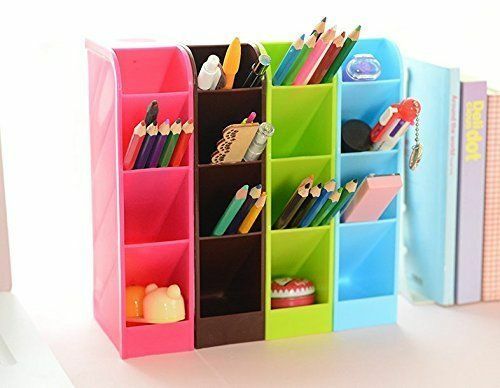 I’d love to reorganize my office space and make it feel homier with some of these. 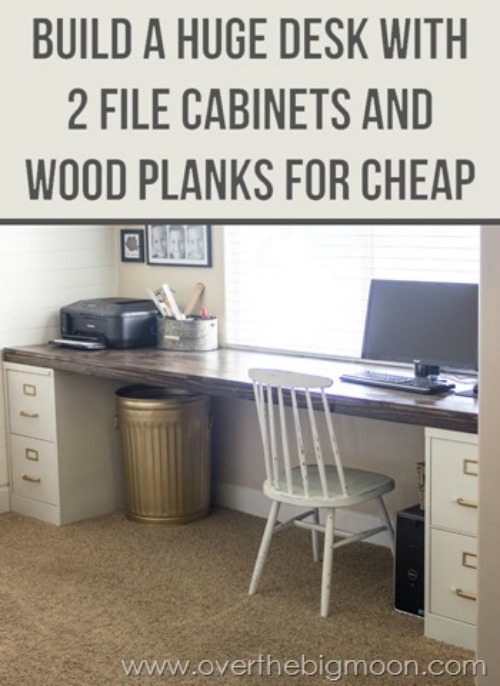 Particularly, I LOVE the file cabinet desk. Unfortunately, I can’t do that in my current space as my desk is built into my wall. 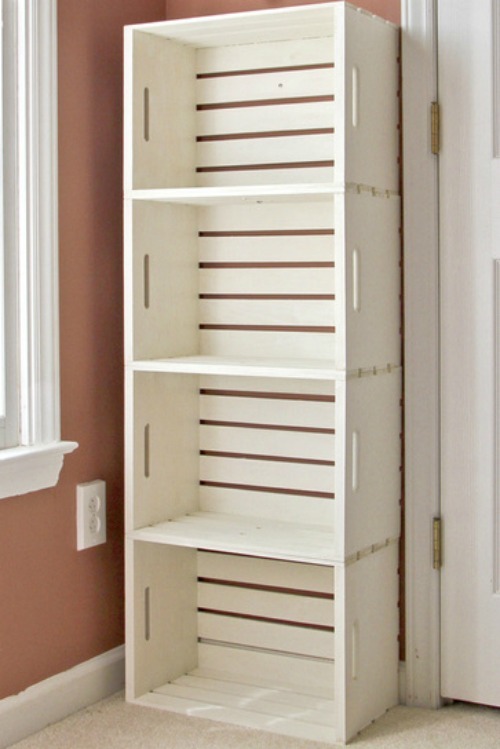 :/ But, these are great ideas for once I get more space! Maybe I can try my hand at some of the smaller desktop organizations. I am so glad that you like the ideas, Gina! It was certainly fun searching for them! 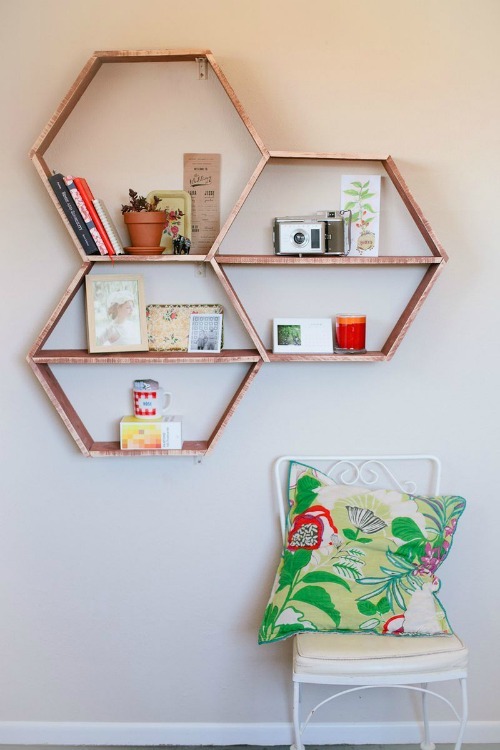 So many great ideas, I’m especially loving the honeycomb shelves. Thanks Julie. 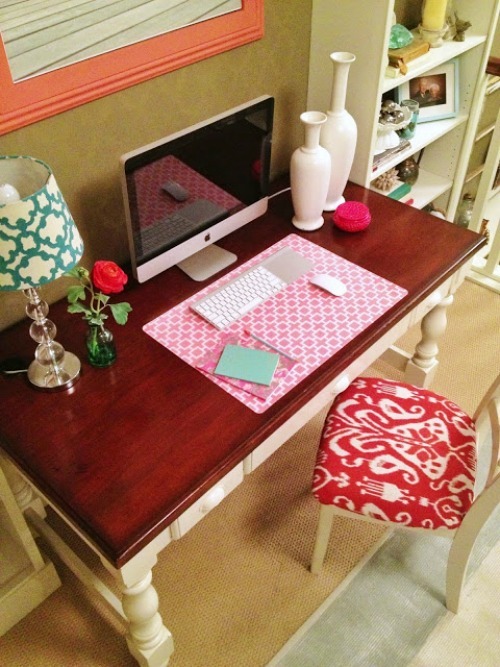 I am so glad I could send a little office inspiration your way! Oh wow! There are some amazing ideas! 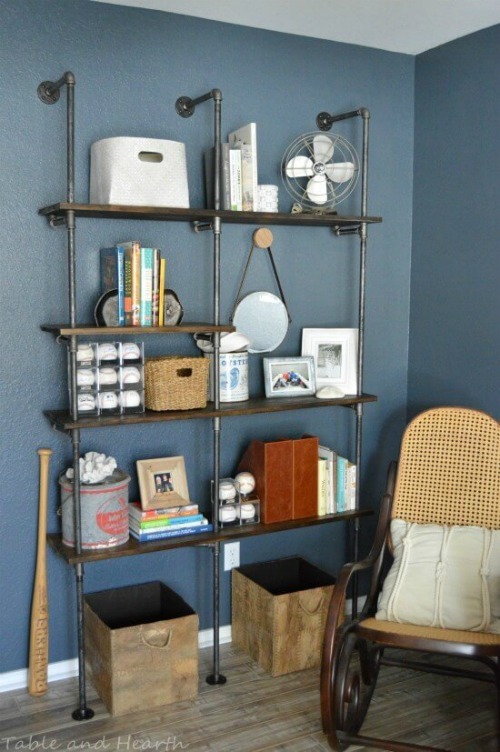 I think my favorite must be the chair redo and the pipe shelf! So neat!! Thanks for sharing at our craft party on Thursday! We would love to have you share your latest DIY’S tonight!! Thank you Denise! I am so glad that you found a little inspiration in this collection! 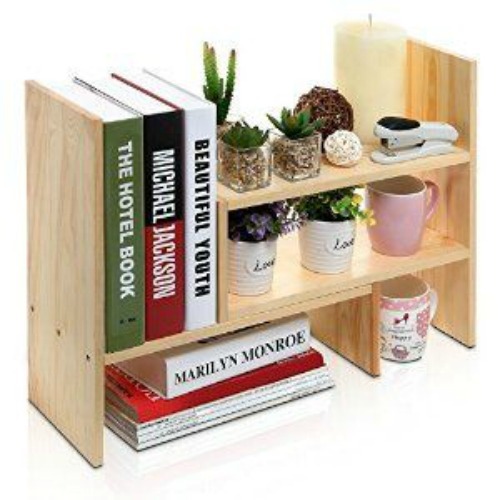 I am so glad that I could send a little office inspiration your way. Thanks so much for stopping by, Janet! Great ideas! I actually saw several unique ones that I haven’t already read about on all of the similar posts that tend to have the same ideas and pics. Thank you Amanda! 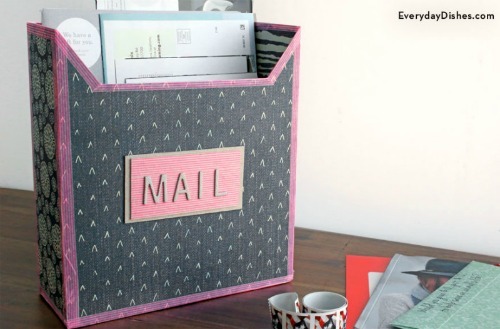 I am so glad I could send Office Crafts your way!